It’s time to introduce you to another of our Skaters! 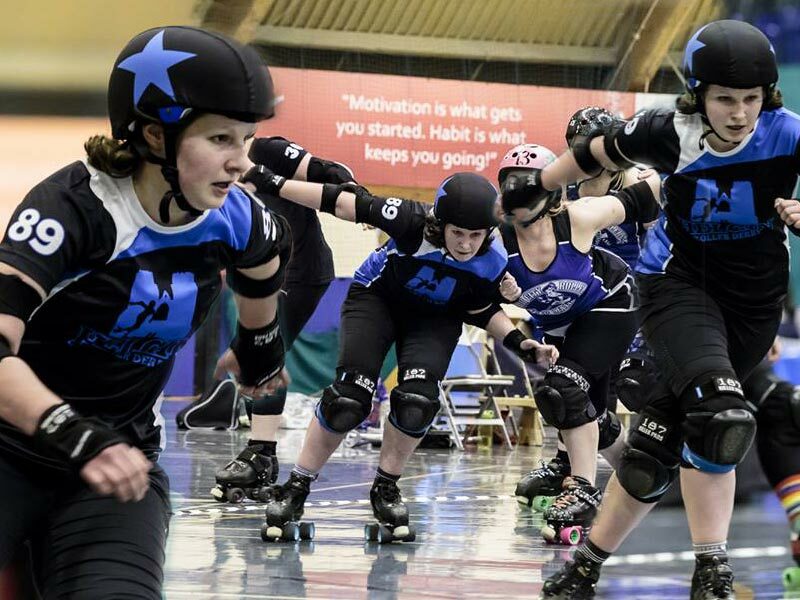 September’s Skater Spotlight is focused on the skater who captained us to victory in April, #89 Melicious Intent! Sales and Marketing for The Finest Brewery of Speyside – Spey Valley Brewery. We have a range of delicious beers including a brand new New England IPA which I named – Spey’s Hardware! I love being outdoors and enjoy cycling, mountain biking, kayaking and skiing. I went on an amazing holiday to the Isle of Canna off the west coast of Scotland in July – kayaking every day; no phone signal; no internet; no TV; barely any cars or people. Somewhere off the beaten track with fun outdoor activities is right up my street! What is your specialist skill (on skates or off)? I’ve perfected a dismount from a bike that’s losing control on ice – don’t ask me how I do it, though! I saw Whip It and went and bought some skates. I attempted to skate outdoors but decided that I was a bit pants at it so hid my skates in a cupboard for a few years. When I heard about Helgin’s first Fresh Meat, I dusted them off and signed myself up – I’ve never looked back! Internationally – Scald Eagle is amazing! Nationally – Stef Mainey is my hero. Locally – Jo Mamma has some mad skills! I’m so happy that I’ve had the opportunity to learn from all of them at bootcamps. Derby is such an accessible sport and brilliant community to be part of. Take everything at your own pace – don’t compete with others! You’re not going to nail every skill the first time you try it, and different people excel at different things – start slow and build up the skill – practice makes perfect! I have made some great friends through roller derby, including my BFF and adventure buddy, Jill! Captaining Helgin to victory in our first game! Playing our first bout was exciting enough, winning was the icing on the cake, and getting the MVP award was definitely the cherry on top!